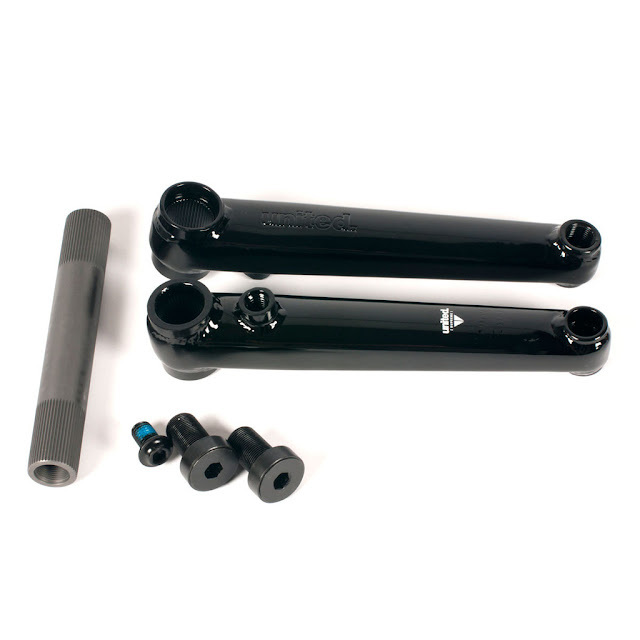 This new version of the Nathan Williams signature cranks are now bossless, so you can run them with the new Machinez sprockets. 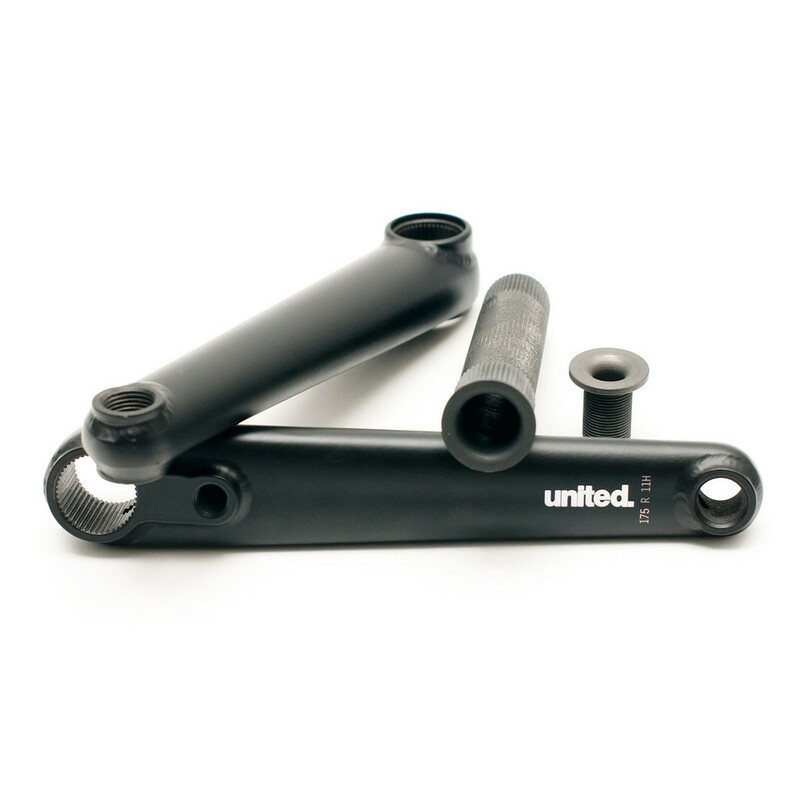 From the start when working on these signature United Nathan Williams Nash Cranks, he had some very specific ideas for how he wanted them to look, they needed to be easy to install and maintain, and obviously able to withstand the pressures of his riding. We took these ideas and combined them with some proven manufacturing processes and by using FEA analysis software have managed to create a lightweight and street tough pair of cranks. The design has been kept slim, clean and simple to create classic looking arms without any fancy gimmicks, but it's whats on the inside that counts. by hollowing out the 22mm spindle as much as possible and creating arms with a shape to offer greater bend resistance and strength, we have made a set of cranks Nathan is proud to put his name to. 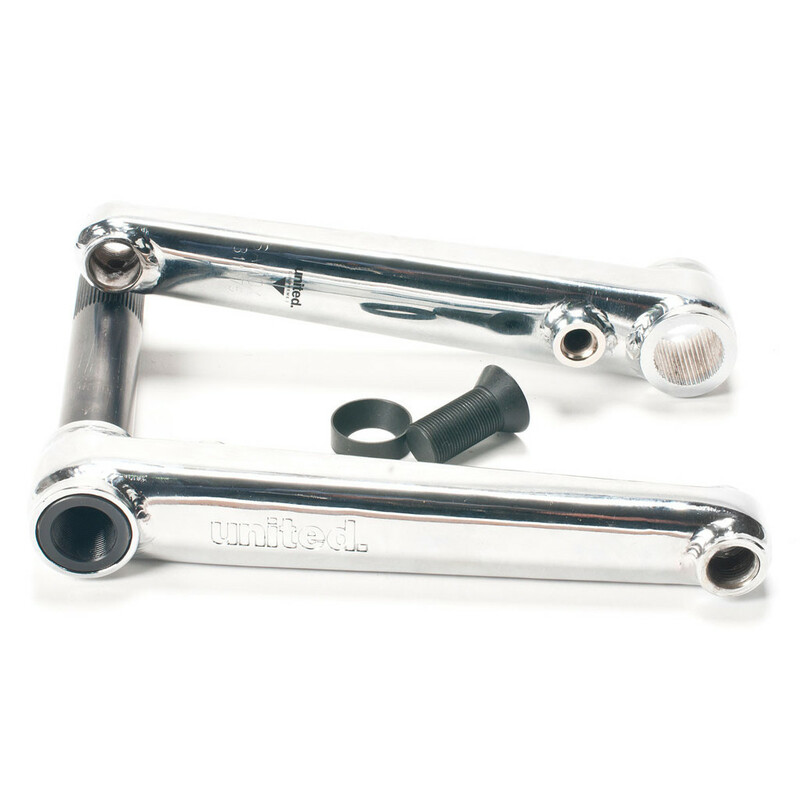 As a final touch, all cranks are supplied with an installation/removal tool and a small sachet of grease, which make fitting them a breeze. 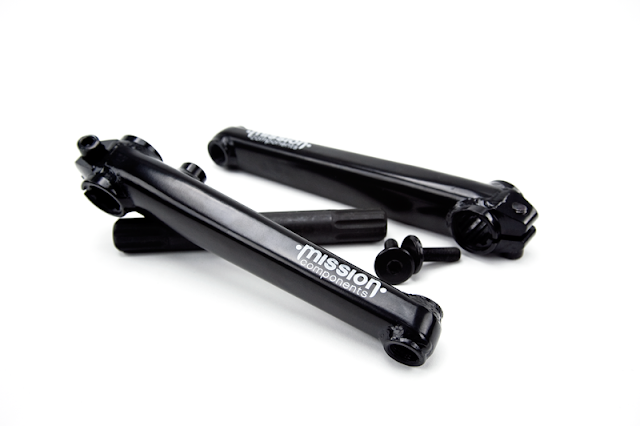 From the start when working on these signature United Nathan Williams Nash Cranks, he had some very specific ideas for how he wanted them to look, they needed to be easy to install and maintain, and obviously able to withstand the pressures of his riding. 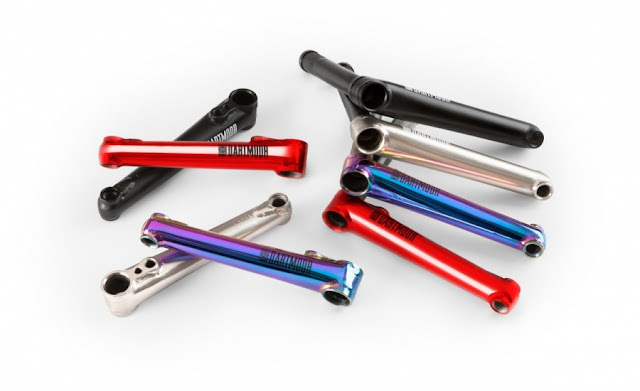 We took these ideas and combined them with some proven manufacturing processes and by using FEA analysis software have managed to create a lightweight and street tough pair of cranks. The design has been kept slim, clean and simple to create classic looking arms without any fancy gimmicks, but it’s whats on the inside that counts. by hollowing out the 22mm spindle as much as possible and creating arms with a shape to offer greater bend resistance and strength, we have made a set of cranks Nathan is proud to put his name to. As a final touch, all cranks are supplied with an installation/removal tool and a small sachet of grease, which make fitting them a breeze. 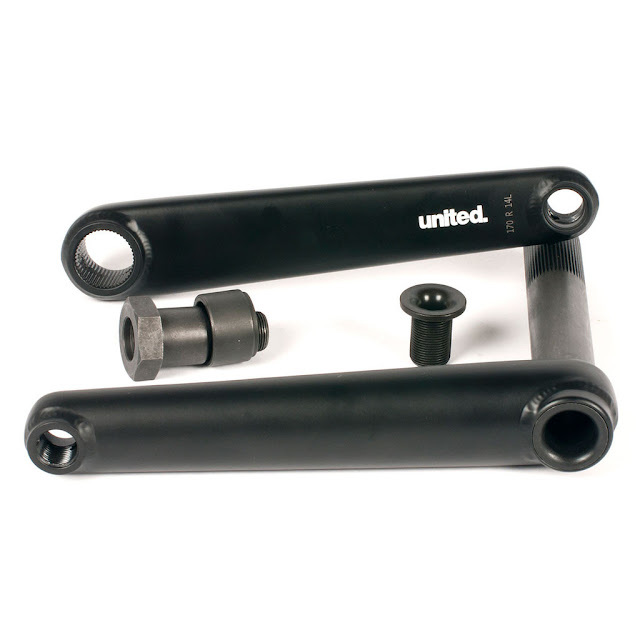 Our United Supreme v2 cranks now use a 2pc system to enable a simpler installation process. 100% heat treated seamless 4130 cromo arms with custom stamped United logo detailing, and a new 22mm hollow spindle. 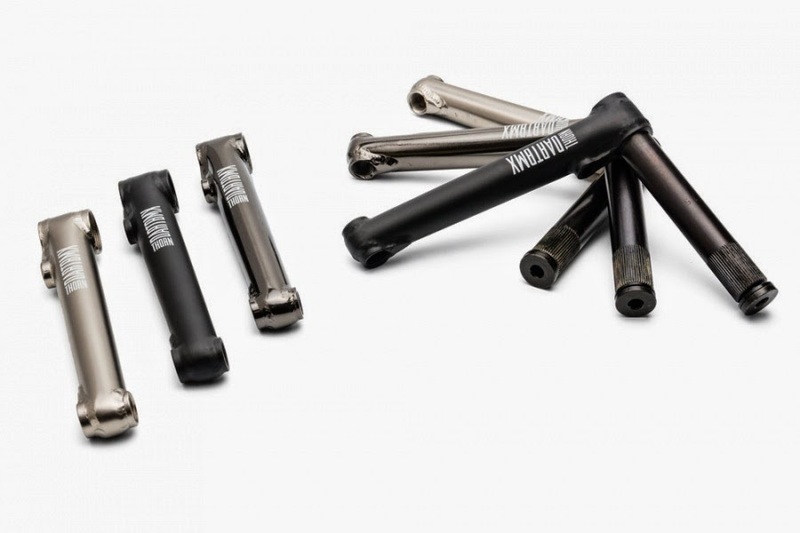 United Supreme v2 3pc cranks. 100% heat treated seamless 4130 cromo arms with custom stamped United logo detailing, and a new 22mm hollow spindle. Weight: 915g (without external bearings). 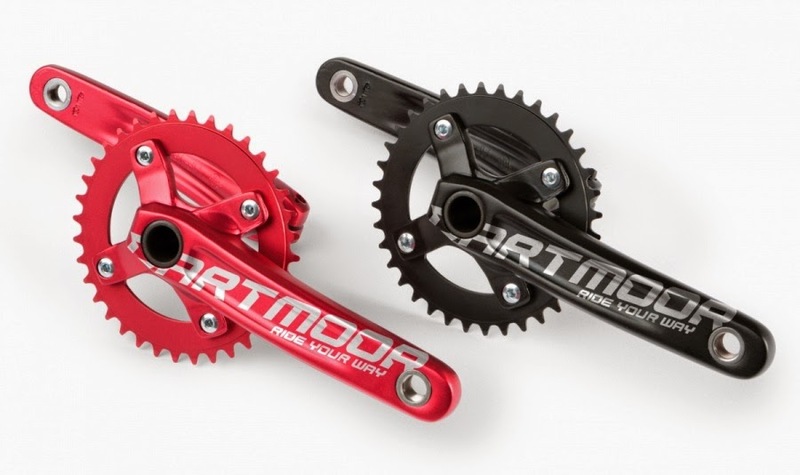 2-pcs design cranks made of heat-treated Cr-Mo 4130 steel with 22mm spindle and 48 splines. RHD/LHD compatible. Two sprocket holes to fit all sprocket sizes. Small gusset to make the pedals assembly area stronger. Includes arms, spindle (welded to the right arm), 2 spindle bolts (alu 7075-T6 and Cr-Mo), 2 sprocket bolts (bigger one is hollow) and assembly/disassembly tool. Spindle bolt: 5/8”x24T (8mm Allen key). Weight: 745g / 1.64lbs. (with alu spindle bolt), 763g / 1.68lbs. (with Cr-Mo spindle bolt). Spindle bolt: M12x1mm (6mm Allen key). Available spare parts: Cr-Mo spindle bolt. 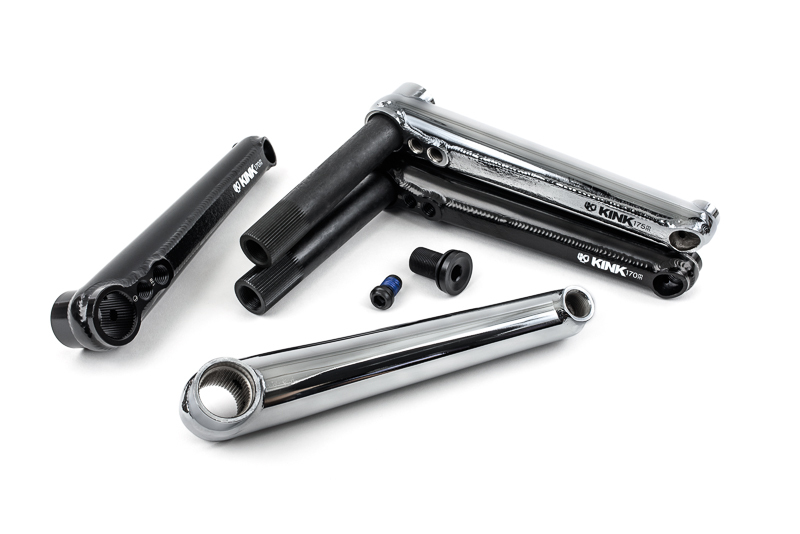 Keipo is one of our most popular BMX cranks but Keipo eX is still not as well recognized as it should be. Do you have an MTB frame with Euro BB shell - like Two6Player - and have faced many problems with weak Euro bearings? That is because typical Euro BB standard has too small bearings which are often crushed during the high intensity riding like street or dirt jumping. Keipo eX brings you a solution to this problem. With much bigger bearings offered by the external Euro bearings, you get the strength of a Spanish BB while keeping the ease of fitting any normal Euro bottom bracket. No matter if you have a 68mm or 73mm Euro BB shell in your frame you can trust Keipo eX will cope with everything you can chuck at them. Splines: 16.Weight: 995g / 2.19lbs. (including Euro eX BBs). 3-pcs design cranks made of heat-treated 100% Cr-Mo 4130 steel. RHD/LHD compatible. Two sprocket holes to fit all sprocket sizes. Small gusset to make the pedals assembly area stronger. Includes arms, spindle, Cr-Mo spindle bolts, 2 sprocket bolts (bigger one is hollow) and pinch bolts. Alu spindle bolts available as separate spare parts. Spindle bolts: M12x1mm (6mm Allen key). Reliable, entry level BMX 3-pcs cranks. Crankarms made of 4130 Cr-Mo steel seamless tubes. 19mm axle with 8 splines. With steel crank bolts and sprocket bolt included.